I’ve been a fan of SK-II for quite some time now. They are pioneers in the skincare industry and very well known for their luxorious products to keep your skin healthy, smooth and more youthful looking. When I found out that they had a global campaign going on all about the pressures and “expiration date” that society puts on women, I knew I wanted and HAD to share this message with my readers. It’s 2017 and there are still so many people around the world that think there is a certain timeline that women must follow in order to create this complete and happy life that society has sold us. I was 29 when I got married and 30 when my son was born. A lot of people think this is the ideal age for marriage and starting a family but in reality… that is just how MY life played out. I had many people question when I would settle down and then on my wedding day people already asking about children. I think it’s important more now than ever that we allow women to make their own decisions on marriage and children and when is the right time for them, if ever, to take that path. We need to encourage women that self happiness is worth so much more than just settling and that age is truly just a number. Lets stop the stigma that a single woman over the age of 30 is on a timeline and her worth is decreasing. Don’t let society’s pressure dictate your future and remember that everything perfect for you comes in due time. Let’s raise this next generation of young women to be independent and strong but most of all to know that we are more than just our age. Below I have linked SK-II video to this great campaign. Please watch it and have a tissue handy. Busy month ahead? 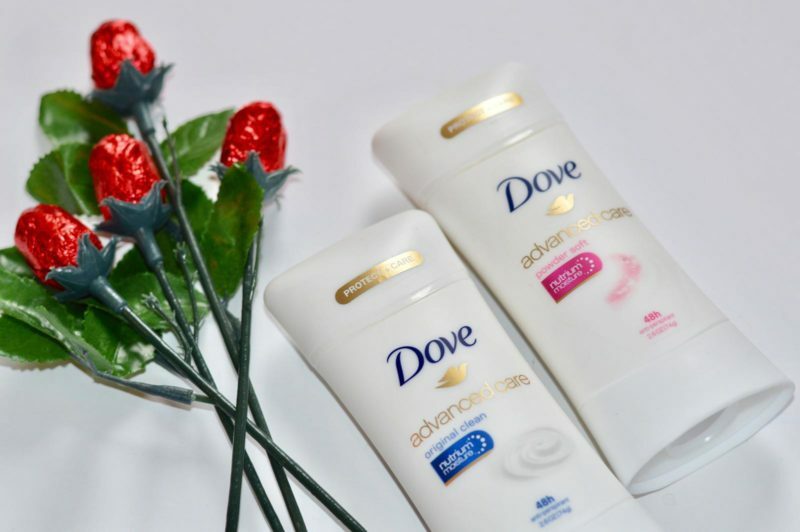 Stay fresh with Dove! This is part of a sponsored collaboration with Dove and DiMe Media. However, all opinions expressed are my own. Can you believe that we are half way through the month of February already?! While the last few months in general have been very hectic, the last few weeks even more so. I feel like kid parties, baby showers, home errands, work and packing have consumed my life. I’m not complaining, I wouldn’t change a thing about this crazy beautiful life. 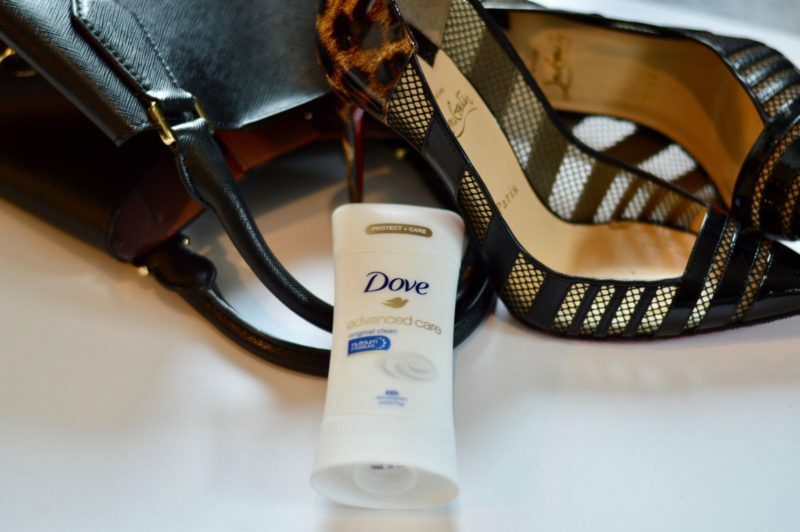 While on the go, I want to make sure that I stay fresh all day and that is why I use Dove Advanced Care Antiperspirant. Dove Advanced Care Antiperspirant offers 48 hours of odor and wetness protection, plus its NutriumMoisture formula and ¼ Moisturizers leave your underarms feeling soft and smooth. One of my favorite things about this antiperspirant is that the scents are so clean and not overbearing like others can be. They can easily be thrown in your purse for when on the go or placed in your carry on when headed out of town. I love that I don’t have to worry about breaking a sweat or even worse… smelling bad! 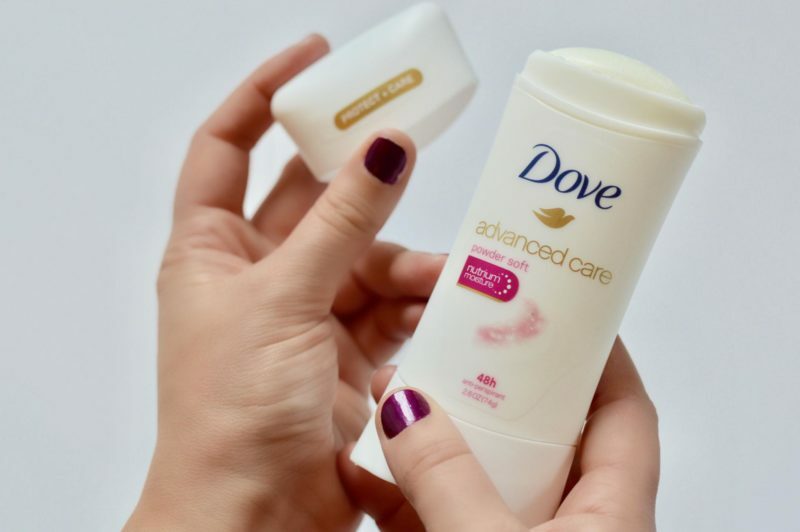 With Dove Advanced Care you can expect more from your deodorant and that makes them FIVE star to me. If I know I have a long day at work and then have to go straight to meeting my girlfriends for dinner, I have no worries because I know Dove Advanced Care has my back and is keeping me fresh. derma e is one of the largest natural facial brands in the US. I love discovering brands that are truly all natural since I feel like everything we use now a days is filled with chemicals and harmful ingredients. 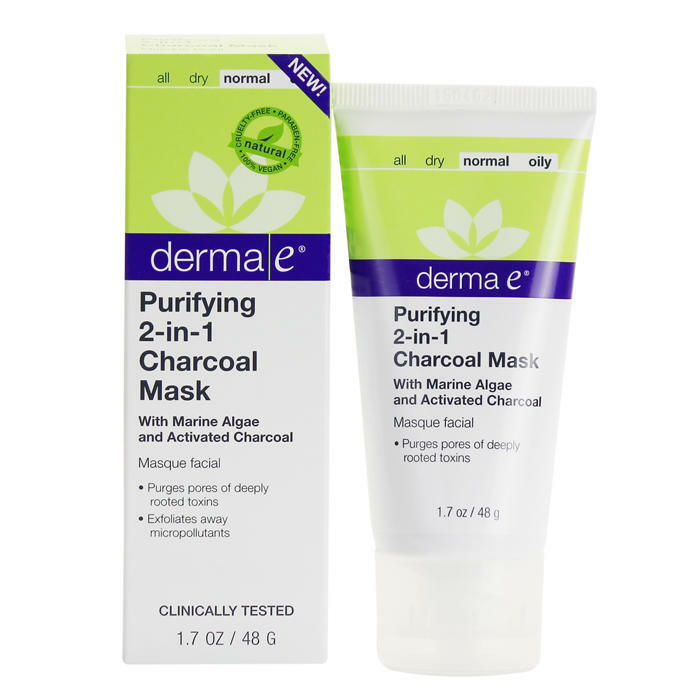 I have heard how great charcoal masks in general were so I was really excited to try out derma e’s Purifying 2-in-1 Charcoal Mask. First, I love that this is a mask and scrub in 1. I have sensitive skin so I try to limit the amount of products I put on my face so this is perfect. This is one of those products that a little goes a long way. After applying it dried rather quickly and I left it on for a few minutes before wetting my face, massaging the product in for 30 seconds and wiping off. The formula is suppose to purge pores of deeply rooted toxins and exfoliate away micro pollutants to make your skin glow. Natural clays infused with Kimarine Wakame, Bladerwrack and Activated Charcoal lift out dirt, oil and bacteria to decongest pores as the mask dries. Apricot Seed Powder exfoliates away dead skin cells and captured debris upon removal. 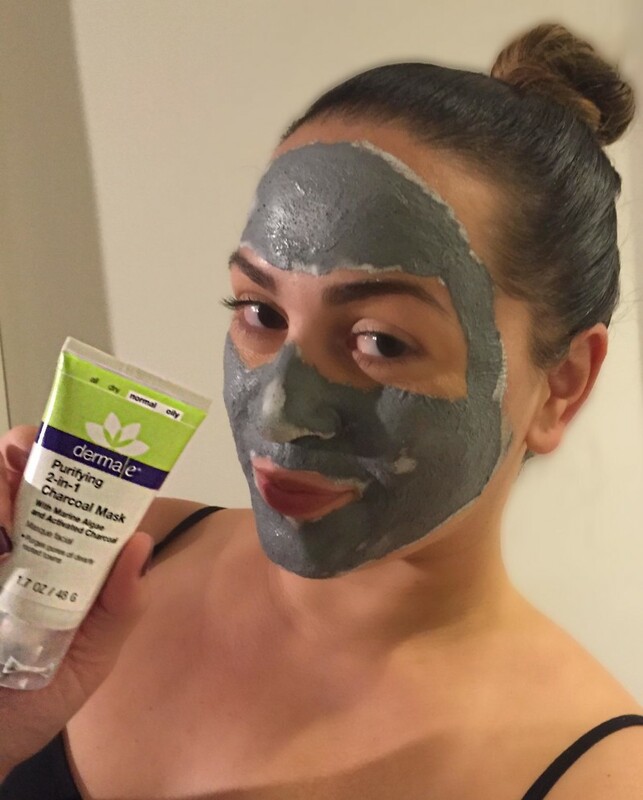 Kaolin and Bentonite Clays absorb excess oils and impurities, relieving skin congestion. Kimarine Wakame is a potassium-rich, magnesium-rich seaweed that is clinically proven to protect skin against environmental pollutants (exhaust fumes, cigarette smoke, heavy metals). Bladderwrack is an antioxidant-rich, mineral-rich seaweed known for its water-binding properties, supporting healthy skin hydration and nourishment. Activated Charcoal, known for absorbing 100 to 200 times its weight in impurities, purges pores of deeply rooted toxins, then Apricot Seed Powder gently exfoliates away micropollutants. Overall I love the results of this Charcoal Mask. My skin felt instantly cleaner and super soft. While drying you could literally see the pores being purified. I’ve been using this mask for a few months now and everytime I use it I feel as I wake up with my skin smoother, brighter and visibly clearer. Between the Holidays and having spent most of the last 3 months at home with my little one, I was in major need of some relaxation. 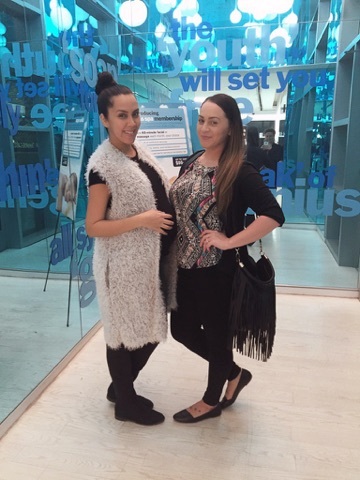 I had the opportunity of visiting Bliss Spa in Hoboken, NJ with one of my blogger babes for massages and manis. 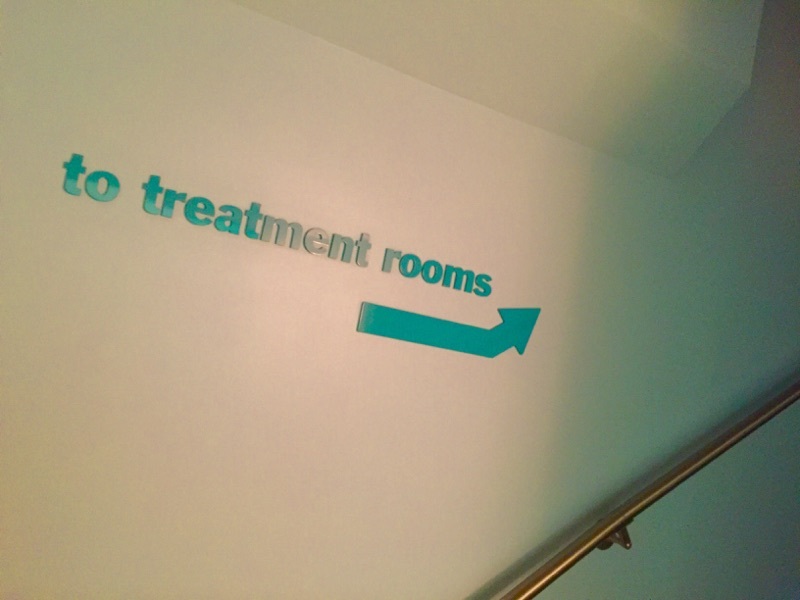 Upon arrival, I was shown the locker room as well as the waiting area. 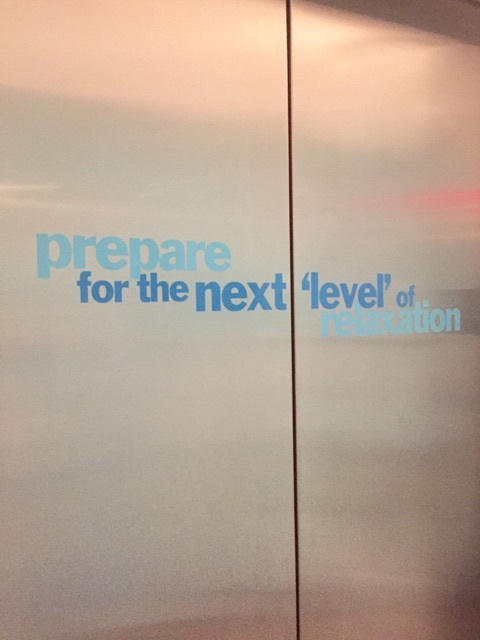 Within a few minutes I was headed upstairs to recieve the ‘rookie mom rubdown massage + toning treatment.’ Once I saw the description on the website [Take a break from the new bundle with a muscle-melting Blissage75, and let your recovering belly bask in a tummy-toning ‘tight’ on target treatment that’ll leave you feeling like one hot mama], I knew I had to book it. I wasn’t exactly sure what to expect but the whole experience was amazing. Prior to the actual massage starting, my masseuse rubbed African grape fruit oil on my mid section. This oil helps drain excess water. 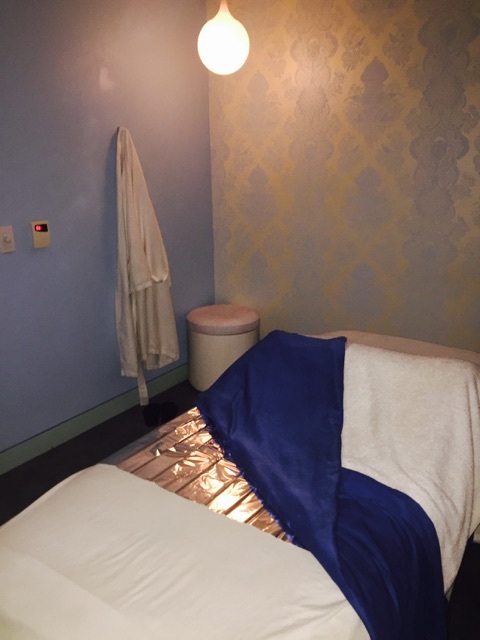 Next an Algae based mask, which detoxes and tightens, was applied and then soft foil was wrapped around my stomach. She then proceeded with the massage which was heavenly and relaxing but still helped to get those knots out. After the mask was peeled off my stomach, the love handler, which is a waist targeting cooling gel, was applied to complete the toning process. After the massage I had a hot cream manicure which was really great. The hot cream really helped moisturize my hands which have been super dry from the weather. 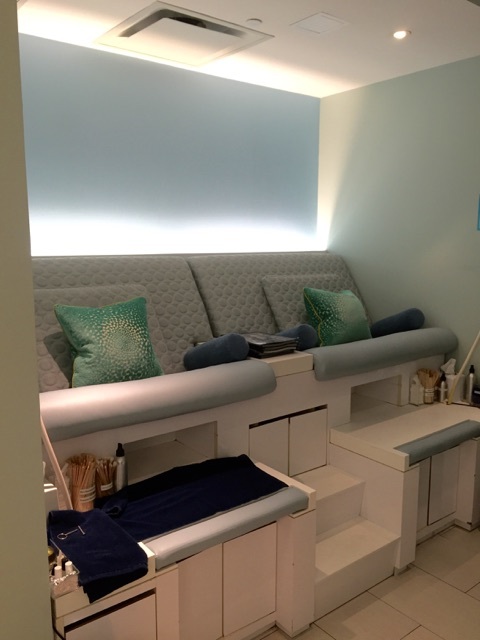 I had the best experience at Bliss Spa and am looking forward to my next visit! Even though I cannot head to the spa all the time, Bliss has numerous products that can make you feel like you’re at the spa but in the comfort of your own home. One of my favorite kits is the a-‘bright’ face facial-at-home set. -One 6.7 oz bottle of fabulous foaming face wash which is a two-in-one oil-free exfoliating wash for all skin types. This cleanser contains rose hip extract, milk thistle, passion flower and chamomile in a non-stripping formula that helps re-balance even the most scattered of skins. -One 1.7 oz jar of the triple oxygen vitamin c cream w/CPR technology. This is a lightweight gel-cream infused with CPR technology and an advanced form of vitamin C to enhance skin’s vitality and clarity and smooth fine lines and wrinkles while intensely hydrating and protecting for a smooth, glowing complexion. -One 5 pack of that’s incredi-‘peel’. These are the only spa-powered peel pads that use time-release technology to reduce wrinkles and dark spots in just one step. These products used together in 3 easy steps have brightened and hydrated my skin, shrunk my pores and helped lighten dark spots. Some other products that are absolute must haves for me are the bliss softening socks + foot patrol cream set as well as the glamour gloves + high intensity hand cream set. Make sure to check out their website to browse all of their products. Click HERE to view which items you can save 20% on! Not into online shopping? Not a problem! 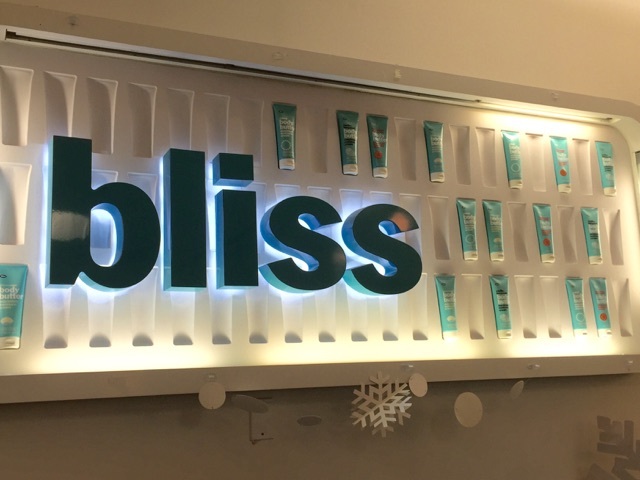 Visit your local Kohl’s and ULTA who also carry products from the Bliss line. If you’re interested in winning your own a-‘bright’ face facial-at-home kit, head over to my Instagram [@pearls_and_paris] to enter my giveaway! 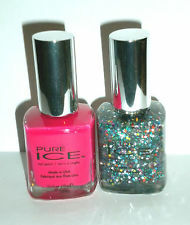 Pure Ice Nail Polishes in Afterhours & It’s Complicated – $1.69 ec. 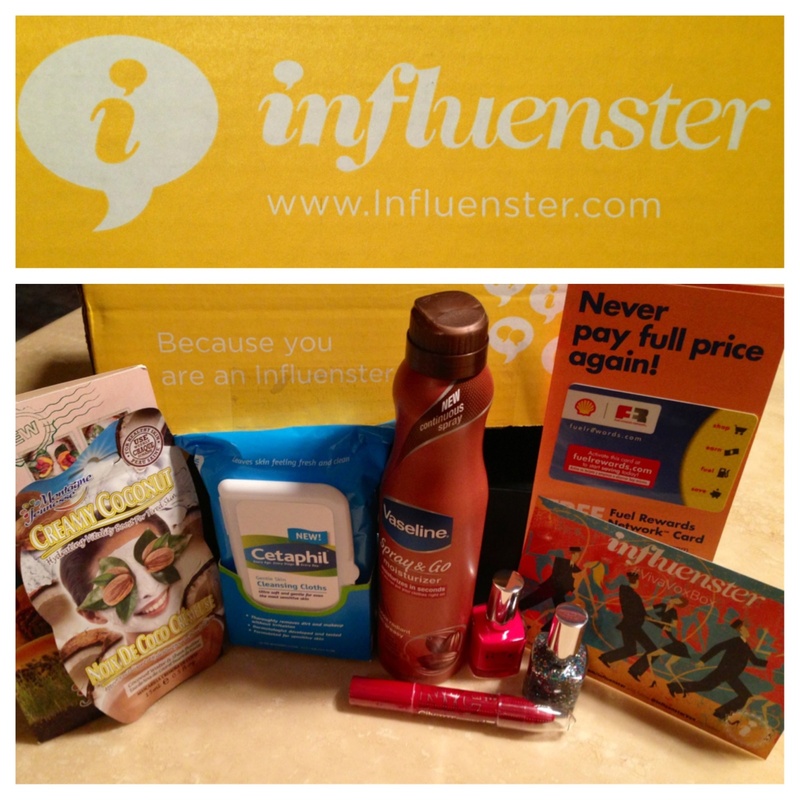 Everything included in this Voxbox was super useful. As you all already know by now – I am obsessed with nail polish so I made sure to use the Pure Ice polishes right away. I’ll have a manicure post about them up shortly. 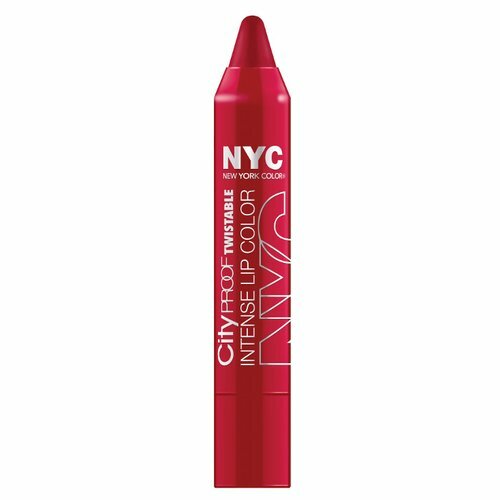 The NYC Intense Lip Color was one of my favorite items in the box. The color is so rich & packs the punch of a lipstick while gliding on effortless. 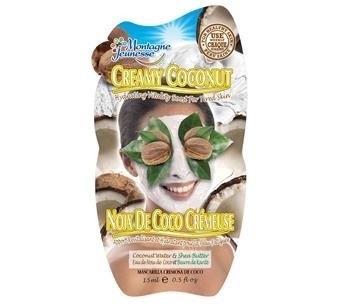 Montagne Jeunesse makes some of my favorite face mask so I’m really looking forward to trying out the Creamy Coconut. 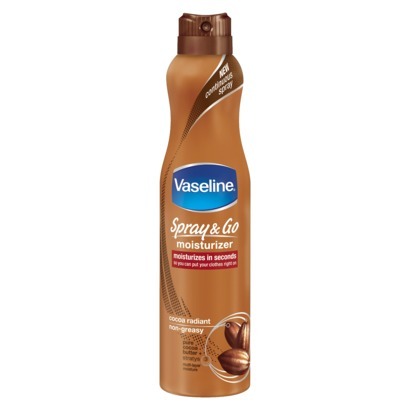 The Vaseline Spray & Go Moisturizer is something I have been interested in trying out since it came out. It is so easy to use BUT the fact that it includes alcohol in its ingredients is a NO for me. Also it isn’t very thick like other lotions that really moisturizer but I will definitely use it when on the go. 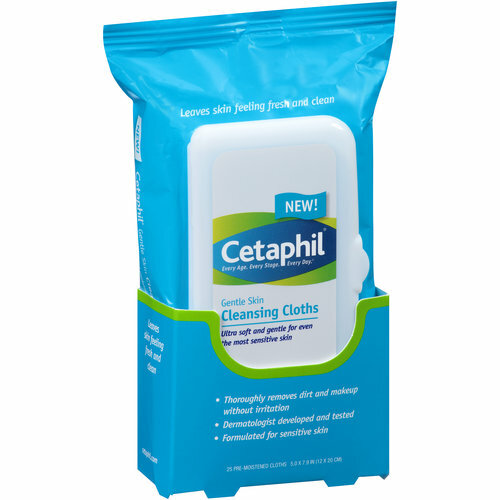 I never heard of the Cetaphil Gentle Skin Cleansing Cloths prior to this box. I’m also looking for new products to cleanse my face so I can’t wait to test these out. 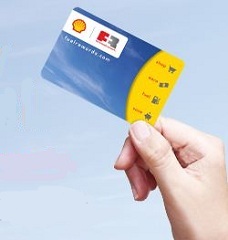 Lastly, the Shell Fuel Rewards Network Card was in this Voxbox and it is a free card that allows you to save at the pump. No complaints there. 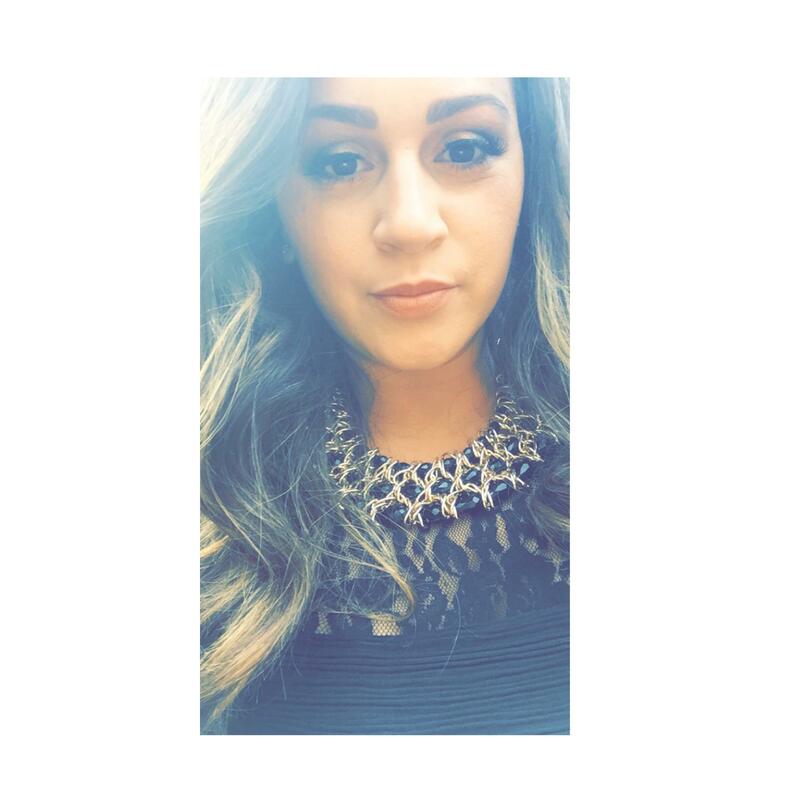 If you are a fellow blogger & are interested in signing up for Influenster, send me your e-mail & I will send you an invite!